For children 4yrs & younger. Designed for parents to watch over the wall while the little ones play on the adventure bouncing area. Includes a small round ball pit area. 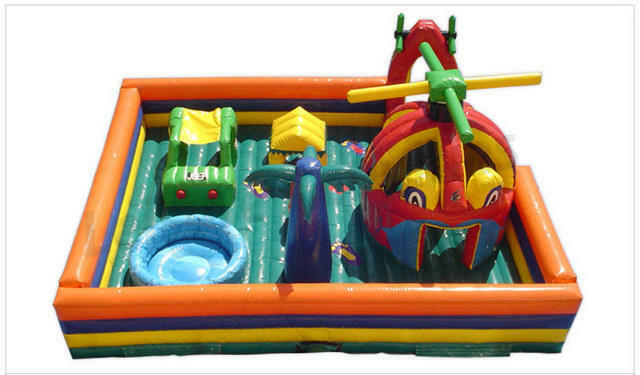 Inflatable helicopter. Inflatable car. Inflatable trees.